When you're a little girl, you dream about your wedding day. Over the years the exact vision may change a bit -- the colors, the dress, etc. My wedding would have surprised my younger self with how wonderful it was. I always dreamed about how it would look, but not about the emotions. I felt complete and utter happiness. Nothing could have wiped the smile off my face! Our wedding was a dream come true for me -- I could not have asked for (or even imagined) a better wedding. And better yet, practically nothing that went wrong (except for one broken votive before the ceremony)! As for me the bride, I feel like I handled the pre-wedding chaos and the nervous excitement beforehand smoothly and calmly. No bridezilla or nervous mess bride here! I even had two outsiders (hairdresser and co-worker) say how calm I seemed. Go me! I think it was my myriad of checklists (and awesome vendors that handled my crazy & frequent questions). 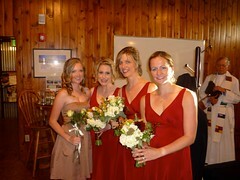 My dad was the chauffeur for us girls (Lindsay, Erin, Caroline, mom, and me). We got a little behind schedule since some stupid dudes decided to unload their golf clubs in the exit of the hotel car exit. Gargh. Don't they know we have a wedding to get to?! We made up for lost time and arrived at 2:30pm, just in time to start the pictures. 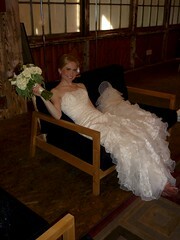 Kristen Honeycutt, my wonderful and sweet photographer, began the photos with my "getting ready." Okay, so I was already ready, just needed to get the dress on. So on went the dress, snapped a few shots, and then off we went to bride and bridesmaid photos. Photo taking is a lot of...stand here, put your dress this way, hold your head up, smile. I think we got some cute pics! Sometime during the girl pics, the guys arrived. There was a mini commotion about keeping me out of side (which we managed without a problem). But I wasn't out of site for long because it was "first look" time. Side note: Yes, we opted to do pictures before the ceremony...I highly recommend it. The first look. This has to be one of my favorite moments of the day. Kristen took Josh inside while I remained outside. Josh was given strict instructions not to peek. I walked up the ramp towards the doors, but Kristen halted us. She thought there might be "wandering eyes" so she opene the door a crack, and gave Josh a scolding, " keep your eyes on the wall, Josh." (Josh will most likely tell you that he heard noise in the adjacent room & snuggle how could you not look at the source of where noise comes). I arrived inside the door, and Josh's back is to me. He laughs at the torture and Kristen snaps a few shots of me slowly walking up and then tapping his shoulder. He turns and his face lightens up and jaw drop, and quickly exclaims how gorgeous I look (aww shucks...I know, wink wink)! We share a few kisses and words and then back to photo time. We get the bridal party and immediate family shots and then some time to relax before the ceremony. 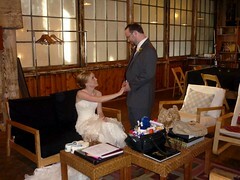 We head up to the Bridal Loft and enjoy some time to sit and hydrate (don't want to faint at the ceremony). I started to get nervous about the ceremony - like tripping, forgetting to do or say something, kissing Josh in front of 94 people. Josh calmed me down though (like he always does). Time for the ceremony comes quickly and the party is herded to the side of the building. Laura Gram, my day- of coordinator, was perfect at keeping us in order and prepped. The Browns, groomsmen, & bridesmaids all head down the aisle to Peter Gabriel's Book of Love. Then comes my time with my mom and dad. I had little bit of a tough time with my dress and the stairs, but we made it to the front of the aisle. At this point, my dad stops and says to wait for my music. I listen, and say, this is the music! So down we walk to Tom G Marriott Bridal March. The ceremony is short, sweet, and lovingly delivered by my Uncle Chuck. We have three reading - Micah 6:8, Colossians 3:12-17, & Mark 10:6-9 - read by our close friends Heather Richardson and Jonita Davenport. The message from Uncle Chuck is nicely tried with our "how we met story" and conversations, and God. Then comes the pledge and vows. Now, let me say here, I frankly think I proclaimed my vows louder (for the record). We kissed (which to my relief went just fine). And at was that; we were wed! We rocked down the aisle to Stevie Wonder's Signed, Sealed, Delivered. To make it official, we went upstairs to the loft and signed the license. Ta da! Husband and wife! Laura brought us both a few appetizers and our drinks. Yes, I say "our drinks" because they were so named - The J-dub (Makers Mark and ginger ale) and The Joyus (spiced apple martini). After a few bites and sips, we were whisked away for more photo time. After photos, we mingled a bit with friends & family. Then we hide away and re-entered as Mr. And Mrs. Josh and Heather Brown. Dinner is served. After our introduction, dinner was ready. We chowed down on some delectable foods. For starters, we had a salad with roasted beets and greens. Next came the family style entrees and sides. My favorite was the roasted pork loin, but the salmon was a hit too. Accompanying these were kale rice pilaf and cider-roasted veggies. Nom Nom Nom. What? Clinking glasses? So many kisses! Ethan Zerth was the real initiator of the clinking. With full bellies, the toasts began. Kevin gave a heart-warming toast starting with Josh and his friendship in the sandbox and ending with sage advise on marriage. Lindsay, in her professor style no less, researched Josh and I (mainly from my blog), and gave a sweet message on us as a couple. 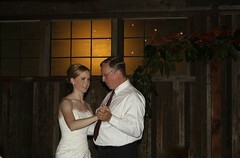 My dad also toasted us as a couple and welcomed & thanked everyone for coming. And Josh wrapped it up with a big thanks for the years and coming years of support. Pie time! 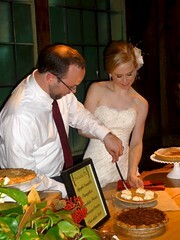 We headed over to the pie table for our pie cutting (x-nay on the usual cake thing). The song Sugar Pie Honey Bunch started playing as Josh and I grabbed the knife and cut the pumpkin pie (it seemed the easiest flavor to cut). No smashing the pie into faces, but instead cute feeding of pie to each other. 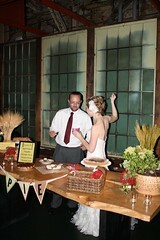 People then got to chow down of five pie flavors: pumpkin pie with graham cracker crust, banana cream, apple crumble, chocolate pecan, and chocolate tart from the wonderful Shoofly Pie Co.
To keep the party rolling, we headed straight over to the dance floor. After a few dance classes, Josh and I were hoping to impress the crowd with our fox trot to Ingrid Michaelson's The Way I Am. I think we did pretty well just that dang dress getting in the way! Our awesome dance we followed with the father-daughter dance to John Denver's Sunshine on my Shoulders, and the mother-son dance to Rob Orbison's Dream Baby. During this, Nada really got the party started by pulling people out onto the dance floor. And it was party like a rockstar from there. DJ Sean Wheatley kept the floor jumping all night. 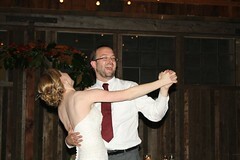 Josh and I boogied all night with interspersed with chatting with friends and family. The party went until 11:30/Midnight. 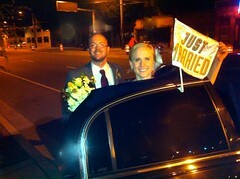 Josh and I took the last town car back to the Sheraton with our little "Just Married" flag waiving in the wind. P.S. 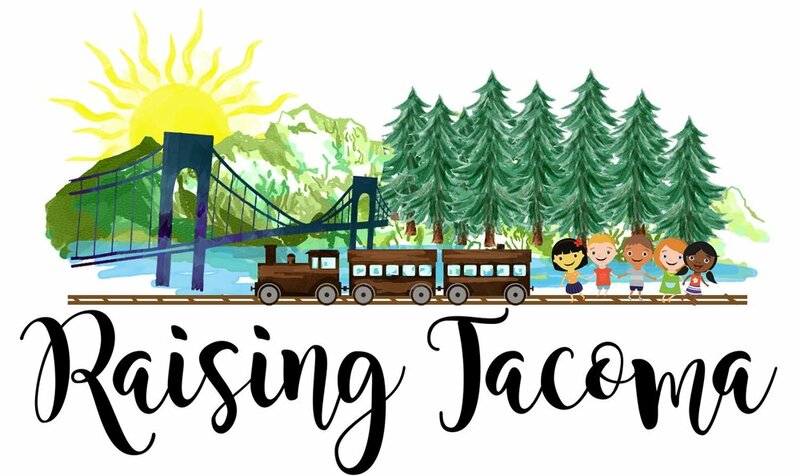 Pictures keep coming in, so be sure to check out my Flickr album every now and again for any update. Right now, I'm in Kauai on our honeymoon so it won't be updated for at least 7 days though. P.P.S Oh and don't think this is the end of my wedding blog posts. No sir ye. There is still much more to share.